TORONTO, Sept. 18, 2017 /CNW/ – On Sunday, September 24th, 2017, tens of thousands of distinguished gentlefolk in cities worldwide will tweak their moustaches and sit astride in their classic and vintage styled motorcycles to raise funds and awareness for men’s health. Aptly titled the ‘Distinguished Gentleman’s Ride,’ the event is the world’s largest motorcycle charity event, and will benefit the Movember Foundation, its official charity partner. 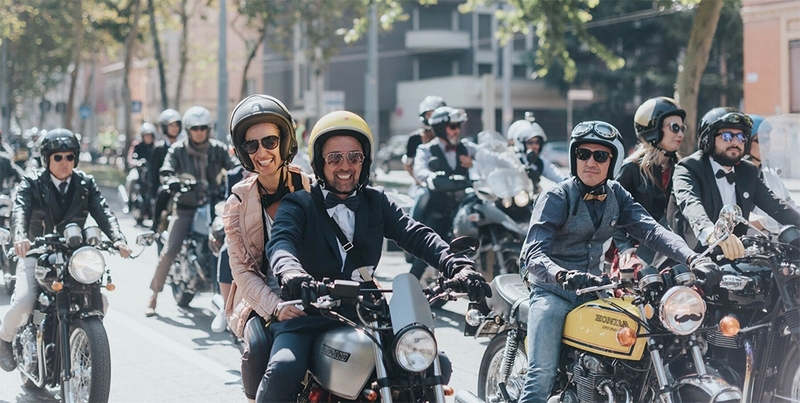 Founded in 2012 by Mark Hawwa in Sydney, Australia, the Distinguished Gentleman’s Ride was inspired by a photo of Mad Men’s Don Draper astride a classic bike, wearing his finest suit. Mark decided a themed ride would be a great way to combat the often-negative stereotype of men on motorcycles, while bringing niche motorcycle communities together. Fast forward and, to date, the successful event has garnered more than 100,000 riders globally, raising a total of over $8 million for their beneficiary partners. Now in its fifth year as a charity event, more than 70,000 riders in over 600 cities across 95 countries are expected to take part in their local city this year. With a goal of raising $5 million, funds will be invested globally in men’s mental health and prostate cancer programs by the Movember Foundation. Canadians can participate in or watch the 2017 ride in Toronto, Hamilton, and Montreal or see if a ride is in their city here. The Movember Foundation is the leading global organization committed to changing the face of men’s health. Since 2003, millions have joined the men’s health movement, raising funds for more than 1,200 projects focusing on prostate cancer, testicular cancer, mental health, and suicide prevention. Their vision is to have an everlasting impact on the face of men’s health. Iconic British motorcycle manufacturer Triumph Motorcycles will continue to support the Distinguished Gentleman’s Ride by awarding the biggest fundraisers, globally, with a modern classic motorcycle. Also supporting the charity ride again is Swiss luxury watchmaker, Zenith Watches, who will provide remarkable timepieces for top fundraisers globally. To donate or participate, visit www.gentlemansride.com. The Movember Foundation is the leading men’s health charity, funding over 1,200 projects in 21 countries worldwide. To date, they have raised $839 million CAD for men’s health programs focused on prostate cancer, testicular cancer, mental health and suicide prevention.